While at Re/code's Code Conference this week, Twitter CEO Jack Dorsey commented on a few aspects of the social network's failings in recent years, especially in comparison to the dramatic upswing in popularity other apps, like Snapchat, have seen. 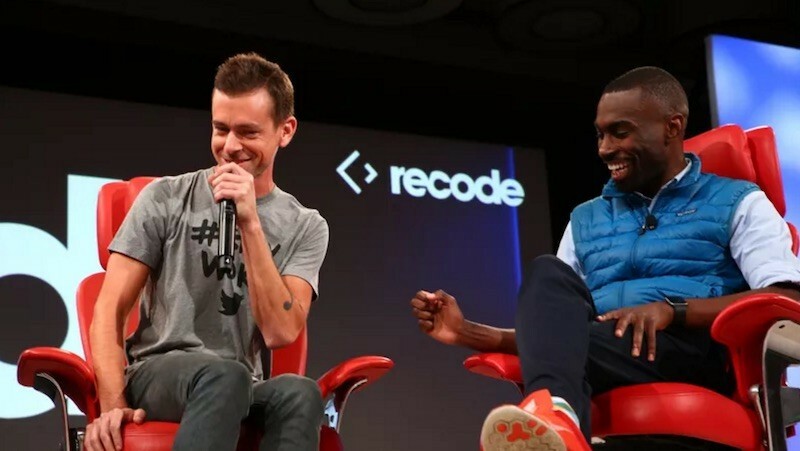 Dorsey mentioned that he believes Snapchat's method of messaging -- which incorporates transient text messages and time-locked photos and videos -- is "very modern," and that at times even he thinks Twitter can be somewhat confusing and alienating to its install base. His train of thought has been represented in user numbers, recently reported by Bloomberg, that suggest Snapchat has 150 million active users every day, while Twitter has fewer than 140 million. That's an impressive boost to Snapchat, which had just 110 million daily users back in December of 2015. Twitter has 310 million monthly active users, according to its most recent earnings report. The company doesn’t disclose how many of those people check in daily, but in the third quarter, it said about 44 percent of monthly users are active each day in the service’s top 20 markets. Twitter Chief Financial Officer Anthony Noto said at the time that the percentage had been stable but that “we’ll be sure to disclose” if there was a significant change. The company hasn’t given an update since then. This implies a daily active user count of 136 million. Of course, the company is constantly moving forward with innovations and changes to its user ruleset, recently announcing plans to drop handles and media attachments from its steadfast 140-character limit. A move to do away with that limit altogether, called "Beyond 140," suggested the company could integrate a way for users to write tweets all the way up to 10,000 characters, but its rumored Q1 2016 launch has long passed. Snapchat is for teenage girls doing 100Mph in their cars. The market does not agree with your close minded thoughts. SnapChat is for everyone. It's used for Marketing by big companies and celebrities. Adults and teenagers use it for various things like sexting, cheating, or just to communicate with friends on a unique platform. I'm sorry. I must have hit a nerve. It's not Snapchat's fault that they supply a dangerous filter in their app. Adults and teenagers use it for various things like sexting, cheating, or just to communicate with friends on a unique platform. I don't sext or cheat and all of my friends have regular phones and we use regular SMS messages to say "I'm on my way". When not quickly sending a text to each other, we call each other like adults because a phone-call is just WAY more efficient when making plans. If there's a big group of us trying to find a free weekend, I use http://doodle.com to find when everyone is free. I'm 29. I have email, a land-line (no cell service where I live) and a phone that sends text messages. I'm not really sure why we keep trying to reinvent communication. Short of VR where you can be a thousand miles away and your friend looks like they're in the same room, I don't really see how we can improve things any more than we already have. We'll stay off your lawn. They need work, but I do feel good about their longer term prospects. They have the exposure. Even the President of the United States talks about tweeting and Twitter regularly. They need to continue tweaking and improving what they have. Plenty of people I know look at Twitter but don't even bother opening an account for starters. Different people, different tastes, different habits, different schedules, different expectations... good to have options? I agree with that statement. The issue I have is investors want growth. Twitter supposedly isn't providing it so it's a huge deal. Luckily, what's hot right now won't be hot tomorrow. I'm looking forward to all of the hipsters getting party-lines via their phones and it all goes full-circle again. Correction. SC is for young adults to flash their private parts to supposed flames. And I do agree that Twitter is mostly useful for known celebrities trying to build up their cult following.